Pączki (pronounced paunch-key) are fruit-filled pastries similar to jelly doughnuts, only richer and more delicious. Made from eggs, butter, sugar and yeast, they are filled with prune, cherry, or rose hip preserves, deep fat fried and glazed with sugar. (Tłusty Czwartek, or Fat Thursday) marks the beginning of the last week of the Carnival season – a time of feasting and general merrymaking that follows the end of the Christmas season on January 6 (Epiphany) and lasts until Ash Wednesday. On Fat Thursday, lines form outside pastry shops all over Poland and pączki, along with other sweet treats, are consumed in huge quantities. In America, people of Polish descent treat themselves to pączki on Shrove Tuesday, also called Fat Tuesday or in French, Mardi Gras. 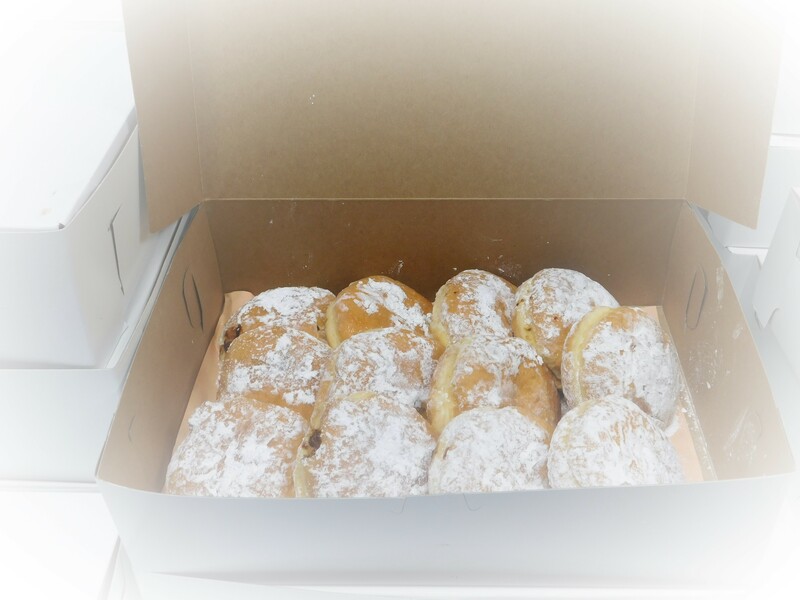 Polish Americans have even coined the term “Pączki Day” to describe the annual celebration.